We have some very exciting news for Pakistani cinephiles. Laal Kabootar, starring Ali Kazmi, Mansha Pasha and Ahmed Ali Akbari is all set to release next year. 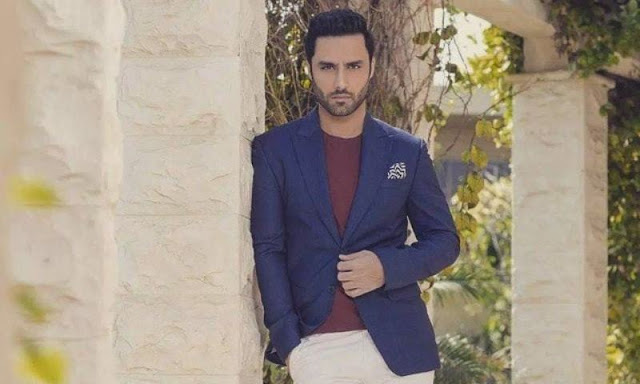 Ali Kazmi, revealed to us that the film will be an engrossing thriller. The film is directed by Kamaal Khan. The teaser preview was released in a festival arranged by Lums students, at Al Hamra. The film promises to be high on suspense with a focus on cinematography and of course some stellar performances. The teaser of Laal Kabootar will be officially released in a week. We also got in touch with Ahmed Ali Akbari and asked him about the shooting process. 'I have done theatre as well as films. The process of this movie was very close to theatre when it comes to training as Kamal had started talking about the character six months before it went on floor'. Talking further Ahmed detailed on how this film was a different experience. 'I would often discover new things about the character during rehearsals and we did those quite often even with cinematographer Mo Azmi. One thing which I have to say is that shooting for the film was one of the best experience I have had' . The actor revealed that the film is about four characters whose lives change due to a certain incident. With the script having been in the works for two years, Laal Kabootar is not going to be your typical masala flick. Instead its main focus is a strong story which would leave the audiences mesmerized. Mansha Pasha will play a female protagonist, Aliya who is struggling in this period of her life. Laal Kabootar is all set to release in 2019 and it promises to be a thriller which will keep you on the edge of your seat for sure!